About a year ago I ventured in front of the big screen to watch Alfred Hitchcock’s ‘North By Northwest’. I’d seen it many times on TV and dvd, but in the theatre I was taken aback by how this comic thriller seized me by the collar, rushed me to an abyss, placed me against the upper reaches of its inner wall and let me go. I hung on for a wonderful two hours. Emerging into the sunlight I could only reflect that I had seen something mythic, a shadowplay of that part of the human condition that, without mercy, reason or empathy exposes existence as a threat to itself that demands we embrace the fact simply in order to continue with it. 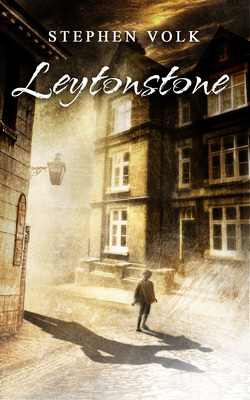 Reading Stephen Volk’s remarkable short novel ‘Leytonstone’, with its patient, spare, expertly-paced evocation of the life and fears of a very young Hitchcock, you feel a very long way from the abyss, until, in its devastating last quarter, you come to realise just how close you have been to the drop throughout. Volk suspends suspense and then unleashes it like a wave of acid. Leytonstone is an apparently simple tale, told patiently and with a quiet generosity, but when it finally has you in its cupboard, in its stinky cell, in the head of its director, then it takes you beyond cinematic representation to a deeply troubling place; a territory, beyond representation, where your condition is in the hands of something or someone that, no matter how much it wants to be good, cannot come close. Hugely recommended.